The use of plastic can sometimes be unpreventable, as it serves many purposes and plays a vital role in our everyday lives. 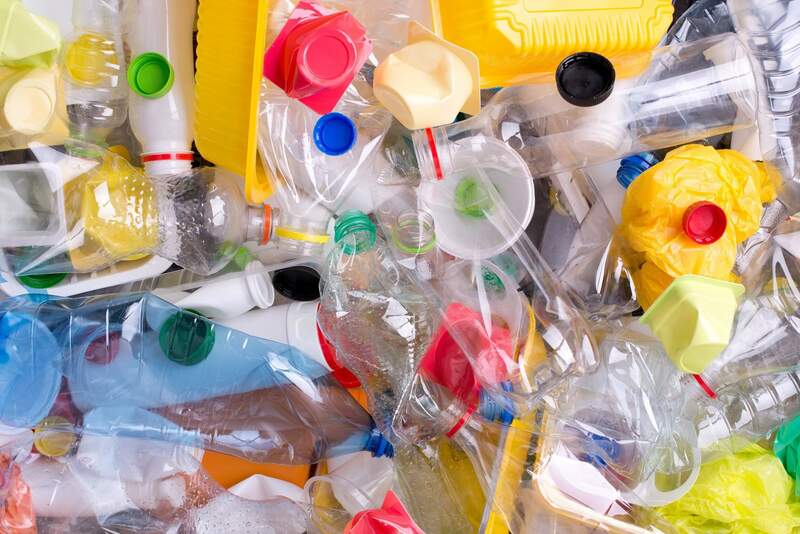 One of the great advantages of many types of plastic is that it’s designed to last for a very long time: nearly all of the plastic ever created still exists in some form today. It is in use all around us - from protecting products, to the interior of our cars, to preserving food, to the medical devices used in hospitals every day. While there are numerous positive characteristics of plastic, there are also some considerable negatives. Every day, many plastic items are only used once and then are thrown away, generating one of the fastest growing problems for the environment. We call this “single-use plastic”. A great starting point to reducing plastic waste is to have a better understanding of what you use and what is getting thrown away. A waste audit can help your organization in many ways as you look to focus on waste reduction efforts and identify what actions to take based off their waste habits. Go through bins and record what plastics are being thrown away and you’ll see instant opportunities for change. For example, perhaps you supply water bottles in the office kitchen - are employees drinking just a few each day, or are dozens of plastic water bottles being used and thrown away? If you supply plastic coffee cup lids, are they getting thrown in the trash or the recycling? If you run a retail business, is plastic packaging waste abundant? In a restaurant, do plastic to-go bags seem to pile up? Even knowing simple plastic use habits such as these will be helpful when coming up with a reduction plan. Once you start conducting waste audits, make it a regular habit to see the volume of plastics your business has generated and what you can do differently for reduction. Share this information with your staff and they can help you make positive difference. After conducting a waste audit, use that information to acknowledge what items you can reduce, reuse or recycle. In the example above, an easy way to reduce waste would be to supply less single use plastic water bottles. To reuse, you could make a water pitcher or dispenser available to employees so they could refill - or, for an even more cost-effective way of reducing waste, you could reusable water bottles branded with your company’s logo instead. Additionally, be conscious when purchasing new items. Take inventory of what you have, and see if there are ways to reuse those items - even if you have to clean or repair them - before purchasing new ones and throwing the old ones away. Lastly, when recycling, make sure everyone knows how to properly recycle to avoid contamination. An easy way to accomplish this is with simple signs as friendly reminders of when and how to recycle. If you’re unsure what causes contamination, read our informative blog. All plastics are not created the same, so it’s also very important to translate the plastic recycling symbols when considering what you should and should not recycle. Different types of plastics can be identified by the number printed on them, and what numbers can be recycled often depends on your local curbside program. #1 - PETE (polyethylene terephthalate): soft drink bottles, mineral water, fruit juice container, water bottles. #2 - HDPE (high-density polyethylene): milk jugs, cleaning agents, laundry detergents, bleaching agents, shampoo bottles, washing and shower soaps. #3 - PVC (polyvinyl chloride): trays for sweets, fruit, plastic packaging and food foils. #4 - LDPE (low-density polyethylene): squeezable bottles, shopping bags, highly-resistant sacks and most of the wrappings. #5 - PP (polypropylene): furniture, toys, luggage, straws, medicine bottles, lining and external borders of the cars. #6 - PS (polystyrene): hard packaging, refrigerator trays, CD cases, vending cups, egg cartons. One of the easiest ways to keep plastic out of the landfill is to refuse single-use plastics, and provide eco-friendly alternatives instead. For example, provide your staff with reusable mugs, compostable or metal straws, reusable cutlery, reusable bags, reusable coffee filters, biodegradable trash bags, etc. By providing these alternatives to your staff, it encourages them to utilize them. In your business, use earth-friendly materials for bags or packaging. Don’t just commit to using less plastic because it is trendy, or you think it will look good to consumers. Truly examine why your business needs to make the commitment. Protecting the ocean and the environment is everyone's responsibility. Make a genuine connection to your mission, and lead by example. Altering your personal habits to avoid plastic waste will positively change your organization’s habits as whole. We understand that avoiding plastic at all costs is almost impossible; however, we encourage you to avoid it when you can and to think twice before purchasing a single-use plastic item that can easily be thrown away. By making this commitment, you will positively influence those around you to limit plastic use in their everyday lives as well. Working towards a vision of a plastic pollution free world can seem daunting, but there are many individuals and businesses making the change together. Use available resources like the Plastic Pollution Coalition for support and guidance. To help your organization reach your goals of reducing plastic waste and to officially join the fight against plastic pollution, you can join the coalition.